Is there anything much more homey and comforting the Homemade Dinner Rolls? I think not. These are so nostalgic and just perfect. Simple flavors from egg, milk, butter and yeast. 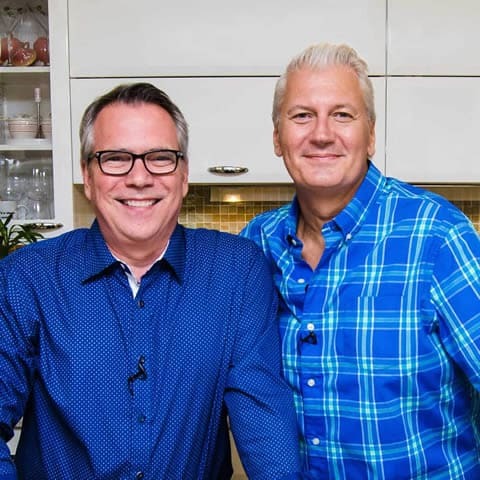 Amazing by themselves, with a little pat of butter, or with a roast and delicious gravy. 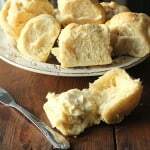 You can’t go wrong with these incredible Homemade Dinner Rolls! 125% Loon Approved! 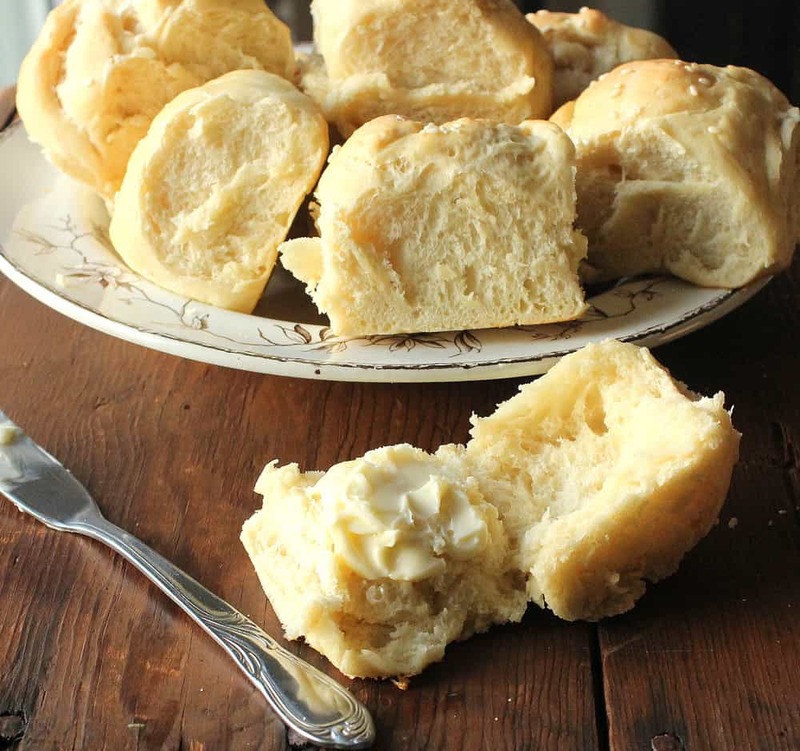 These Homemade Dinner Rolls are simple homey deliciousness. The smell as they are baking in the oven is just Heavenly. Make sure you allow them to rise each time so they reach their full potential. So light and airy on the inside. Just wonderful with a roast or by themselves. Yum! 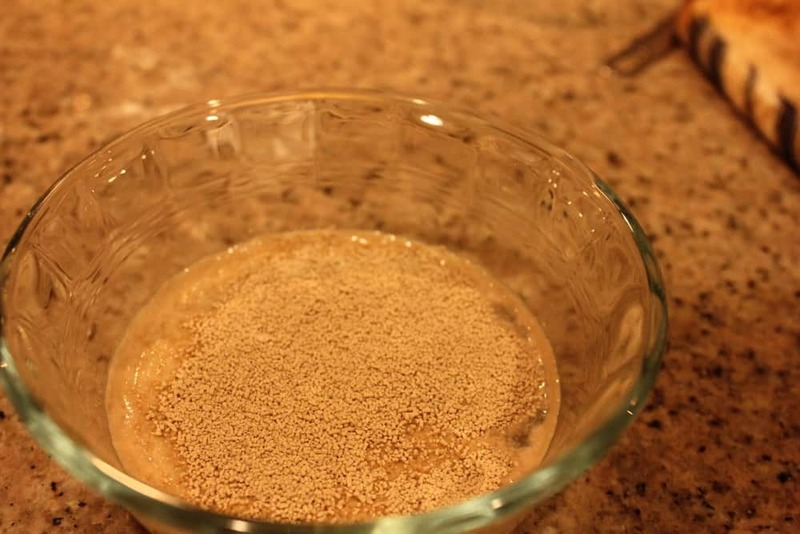 In a small bowl, sprinkle the yeast over the warm water and let it stand for 5 minutes. Then, stir to dissolve the yeast. Mix the cold water and hot milk together in the bowl of a heavy stand mixer (or large bowl) to cool the milk to tepid. Add the dissolved yeast, melted butter, sugar, egg yolk, and salt. On low speed, with the paddle attachment, mix enough of the flour to make a soft dough that cleans the sides of the bowl. Change to the dough hook and mix on medium-low speed, adding more flour as needed, until the dough is smooth, elastic, and tacky, about 6 minutes. Lightly butter a medium bowl. 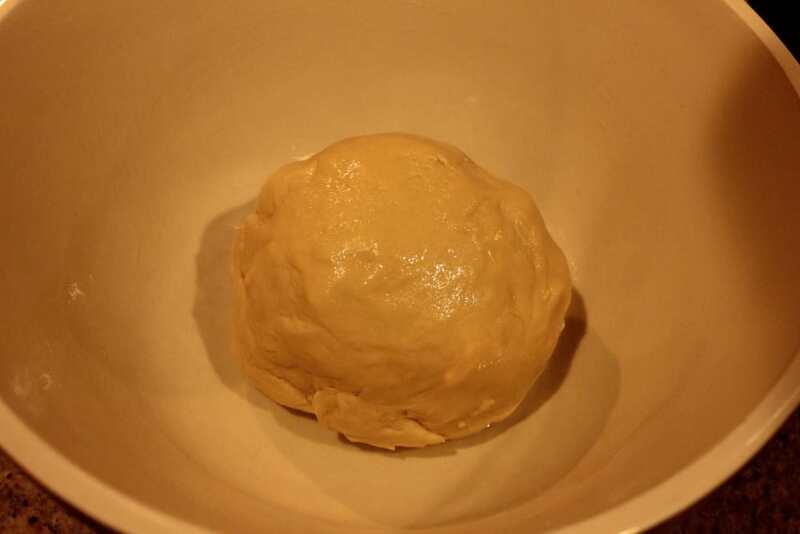 Shape the dough into a bowl and put the dough in the bowl, turn the ball to coast it, and leave smooth side up. Cover the bowl with plastic wrap. Let stand in a warm place until it is double in volume, about 1 to 2 hours. Lightly butter an 11 1/2" x 8" baking dish. Turn the dough out onto an unfloured work surface and knead briefly. Divide the dough into 12 equal pieces and shaped each into a taut ball. Place the balls, smooth sides up, equally spaced, in the baking dish. Cover loosely the dish with plastic wrap and let stand in a warm place until almost doubled in volume, about 30 minutes to an hour. Lightly brush the tops of the balls with some of the milk and sprinkle with the seeds. 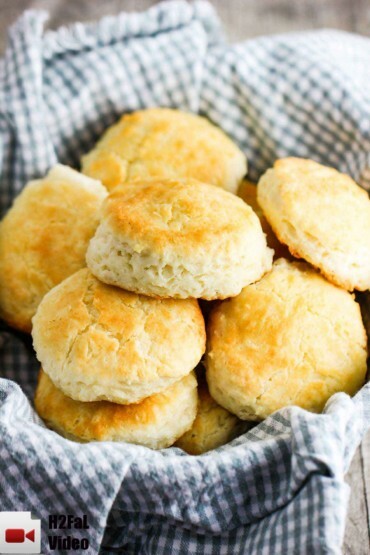 Bake until the rolls are fully risen and golden brown, 25 to 30 minutes. Remove from the oven and let cool in the pan for 10 minutes. Serve warm or cooled to room temperature. I am making this bread right now and it says add cold milk to the hot milk to make it tepid. But there is no where, that I can see in the recipe, that it says to heat the milk. Was this step left out. I did not heat the milk so I am hoping it comes out. I have it rising right now. Dinner was great and everyone loved the rolls. Anytime you are in NE Ohio you are welcome to come by! I will let you know when I try the chicken salad! Awesome….Cleveland is a great town!! And for sure I will let you know about the chicken salad!